I saw this project on Artsonia a couple of years ago and thought it was beautiful. Made up it’s even more beautiful. With the Cricut and the program, Sure Cuts A Lot (Lot 2), we made the templates for this project. We laminated 12” x 18” construction paper and cut out a centered 8 ½ ” x 11 ½” oval. Keep both the solid center piece and the oval-cut-out outer frame. Make one set of templates per student. The Cricut website can be found at http://www.cricut.com/ This project, “Oval Winter Scene,” is found in the 6th Grade Projects Gallery in the sidebar. 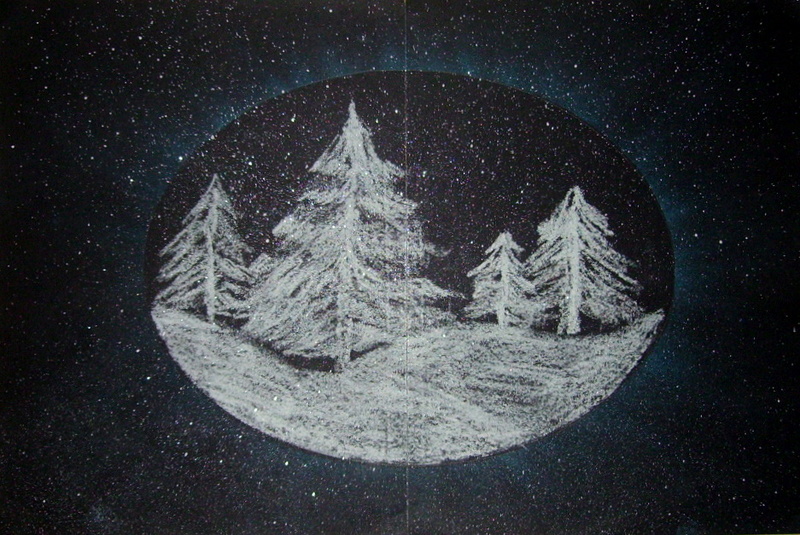 This entry was posted in 6th Grade and tagged 6th grade, art and crafts for kids, art and crafts for the classroom, childrens winter art project, classroom art, oval winter art project for kids, oval winter scene, white chalk on black paper winter scene art. Bookmark the permalink.